LeBron James has been known to switch up his kicks and bring back a previous season's model while he adjusts to the current signature model on the market. Thursday night, King James definitely made it a #TBT as he took it back 11 years and rocked the Nike LeBron 2 "Triple Double" PE. 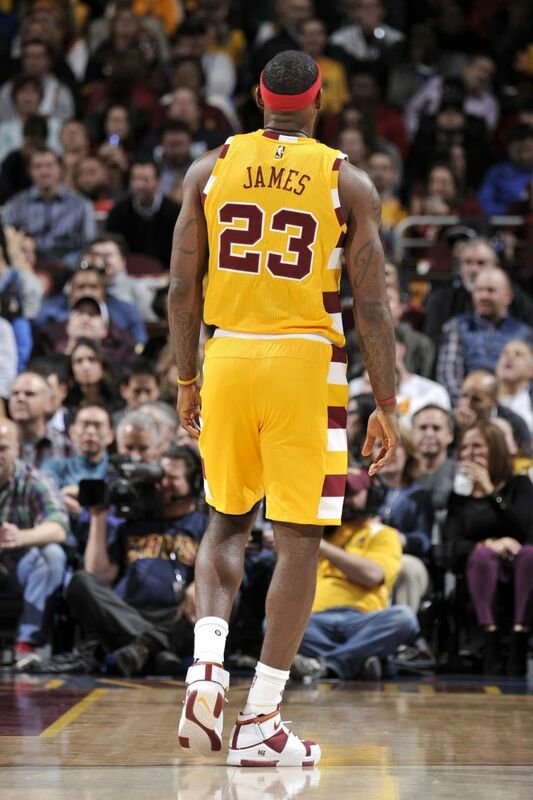 The Cavs were rocking their "Hardwood Classics" uniforms and fittingly so, 'Bron broke out one of his classic player exclusives, and the one he actually notched his first career triple double in, hence the moniker. While in a postgame interview, LeBron did say that he wore the actual shoe from 11 years ago, not a brand new pair, thus the reason why he switched at half time to a pair of Nike LeBron 13. This could be as good a reason as any for the Swoosh to bring the model back and hopefully release this highly coveted LeBron PE. Now Available: GS Nike Air Max 98 "Easter"
Now Available: JW Anderson x Converse Run Star Hike "Core Black"
Now Available: JW Anderson x Converse Chuck Taylor 1970 "Americana"